While there are lots of efforts being put to fight for women's rights, nothing better than being a woman, taking action and succeeding, can stand as a support to those women fighting for equality with men. Rohini Mundra's journey from a typical Indian Marwadi family, becoming a person today, that many look up to and wish learn from, is certainly a must know for those making their way to success. Having been born and brought up in an Indian Marwadi family, coming out of the cocoon breaking the stereotypes and getting her first salary of Rs. 2000 in her 9th grade, was the first success of her life. Doing what she wanted to do, rather than what others wished she would do, was the next victory. Taking up work that challenged her, rather than what was easy, was the third. Quitting a nine-to-five job to becoming an entrepreneur, adding value to lives and helping them realize their purpose, was the next success. The list that continues with many other achievements, also has behind it, a story of struggles, challenges, and overcoming them. Rohini Mundra, co-founder of 7 intelligence and the youngest Indian to have been certified the level IV trainer by the Australian government, shares what it truly took to become what she is today. “The journey I took was never for money or recognition. I wanted it to be a journey of overcoming barriers. A lot of people feel there are many challenges in life. What I do know and believe is that, the main problem is to not be able to understand one own’s potential. We do realize our abilities only when we do what we think we actually cannot do” says Rohini, who started her entrepreneurial journey at the age of 25 all on her own, although she could have leisurely spent her life managing her father’s manufacturing company. The ‘never quit’ attitude is something this specific phase of her journey taught her. It’s true that they “Nothing except your own attitude, is a barrier from reaching your goals. ‘Try again’ or ‘quit’ are the only two options we always have.” Each time there was a hurdle that tried to stop her, Rohini decided to simply try again with more determination. That is what led her to achieving in each of what she decided to pursue. Within some time, she realized that the banking sector wasn’t where she truly wanted to work. She resigned to give some time for herself, when she got another opportunity to train people. Training them gave Rohini an unexpressible feeling; a feeling that gave her inner happiness. 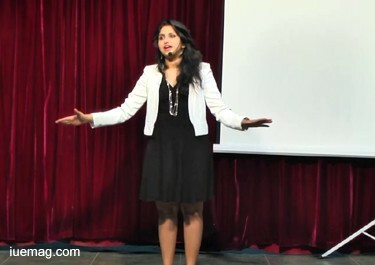 Having trained at companies like Mindtree, Infosys and many others led to making her realize that it was ‘training’ that really gave her the adrenaline rush and thus became the start of 7 Intelligence Private Limited, which she founded along with her schoolmate Saveen Hegde, with a vision to help people "do what they are passionate about." 7 intelligence is a provider of self-paced training solutions to educational institutions, corporate houses and individuals. Saveen, with an engineering background and Rohini, with a BBM background, although an uncommon combination, led to becoming an unstoppable one. The biggest challenge and advantage was their ‘age’ while they began. “Nobody would easily believe that we could do it” says Rohini, “A lot of them felt we are too young and would soon shut down like those many other start-ups. We used to walk on the roads of busy industrial areas of Bangalore, note down the names of the companies and later make calls and request for a chance. We told them that we would give the first session for free and asked the client to give us a chance if they thought we were good at it. Although it was hard at the beginning when we took zero salary for ourselves for the first six months, the wait was worth it. The companies realized we could actually help them.” Having believed in experiential training, they even declined the offers of many clients that only wanted to hold the program for the sake of having executed them. Slowly, 7 intelligence gained attention and currently offers training sessions at many of the Fortune 500 companies. With their training program ‘Bridge,’ in collaboration with Bosch, they have also been helping provide jobs to many school dropouts from around the country. Although there was much appreciation on one side, there were always barriers. Each stumbling block of her life led Rohini to only make her life more beautiful than before, while she courageously faced each of them. “Life is about setting your own rules and guidelines. Don’t look at things as challenges. Look at the result you will achieve after facing it” she says. ‘You never know until you try’ is the principle she has continued to live with. 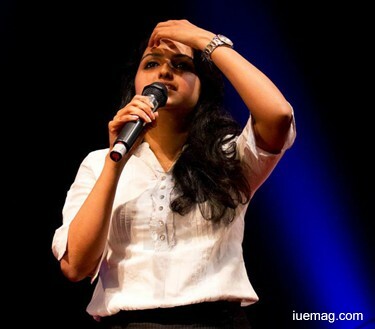 Apart from being an entrepreneur, Rohini is also a dancer, violinist, theatre artist, an adventure lover and many more. Every path has thorns in it. It’s important to remember that it’s about what you do when it pricks your feet - remove it and move forward, or to simply go back where you came from. You definitely know that the former choice is what made Rohini, the way she is. It’s not about how big is the challenge. It’s about your willingness to face it. Every step she took taking a stand of her own, although challenged her, led her to creating her own mark in the world of ‘training.’ We wish Rohini the very best for her next endeavours. Any facts, figures or references stated here are made by the author & don't reflect the endorsement of iU at all times unless otherwise drafted by official staff at iU. This article was first published here on 17th March 2017.